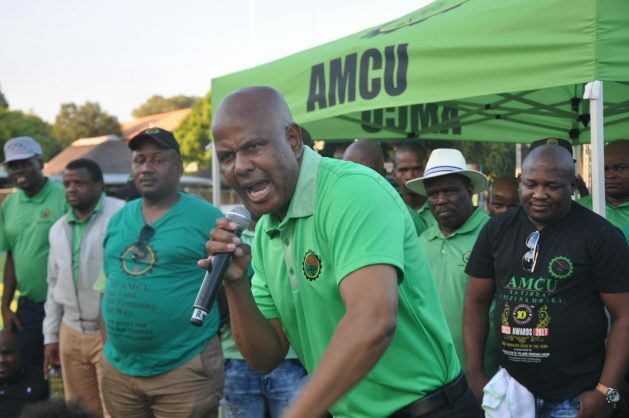 JOHANNESBURG – THE Association of Mineworkers and Construction Union (AMCU) is wary of armed intruders accessing mines were its members work. AMCU has documented four such incidents, with the latest reportedly on Thursday at Kloof Mine outside Westonaria. Members arrested the man who was allegedly found in possession of numerous weapons including pangas and an axe. “AMCU calls on the police to ensure that the investigation is finalised speedily, and justice is served as soon as possible,” AMCU stated. Other incidents have been reported in the Free State Province in recent weeks. Incidents are linked to the rivalry between AMCU and the National Union of Mineworkers (NUM). “More disturbingly, these incidents are very similar to the events leading up to the Marikana massacre,” AMCU concluded. The massacre occurred in 2012 after police opened fire on striking mineworkers, some of them armed. Over 30 miners were killed.